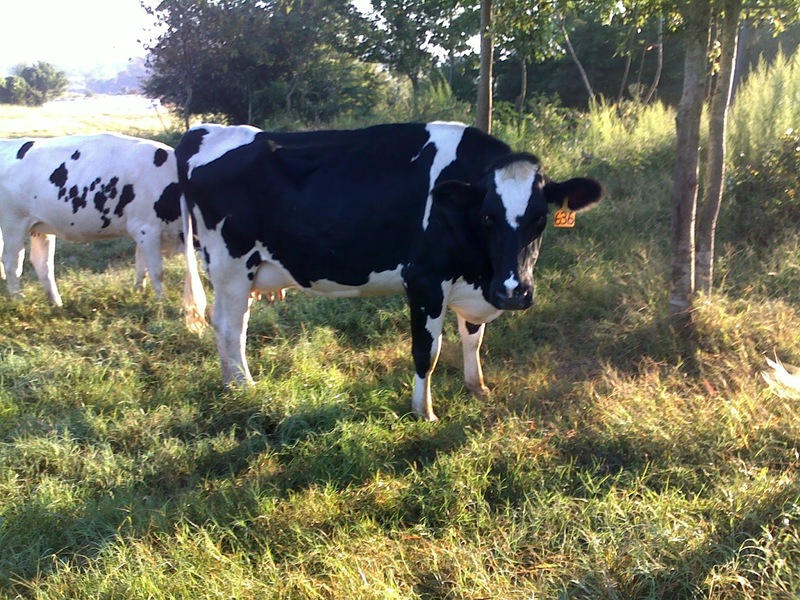 The Dairyman's Blog: FAQ: "What's the difference between conventional and organic milk?" FAQ: "What's the difference between conventional and organic milk?" Over the past few years, several of my friends have asked about the difference between conventional and organic milk. There is A LOT of information available on this subject, so I won’t try to reinvent the wheel here. I’ll simply give you an overview along with my take on the issue. To start with, the terms “conventional” and “organic” refer to a farm’s method of production, not the actual milk. For a dairy to attain UDSA organic certification, it must fully incorporate and adopt a set of production methods that include a variety of specified “cultural, biological, and mechanical practices.” Guidelines include provisions on how often cows graze and have access to pasture, how their additional feed must be grown, and how their health is managed (read this USDA Factsheet for more info). Most dairies include some of the listed practices as part of their own standard operating procedures, but are considered “conventional” because they haven’t adopted all of the USDA’s organic guidelines. "What do you mean we're not organic? A farm’s decision to use conventional or organic production methods is rarely as black and white as a Holstein dairy cow. Herd health, the availability of (or capacity to grow) feed, economics, and location are just a few of the factors farmers must take into consideration. Ultimately, dairy farms are going to use production methods that best allow them to a) raise healthy, comfortable cows that produce safe, nutritious milk, b) practice good stewardship of the natural resources around them, and c) provide a decent living for their family. So what about those different jugs of milk sitting in the dairy case? The USDA, American Dietetic Association, and many other scientific studies have affirmed that conventionally and organically produced dairy products are equally safe and nutritious. Organic milk is rBST-free, and so are many brands of conventional milk. All milk undergoes stringent testing to ensure that it contains no trace of antibiotics or pesticides. Organic will cost more due to the farmer’s higher costs to produce it, and it may have a different flavor depending on the cows’ diet (true for all milk) or the pasteurization method used. My family owns and operates a conventional dairy farm, and we have no hesitation whatsoever about consuming conventional milk and dairy products. If you are equally as comfortable with our product, great! If you believe organic production is a better way of farming, our industry has you covered. There are options for nearly every preference of taste and philosophy, so make sure you and your family are getting three daily servings of whichever dairy products you most enjoy! Nicely written & very accurate. Great job Will! More likely, much of the confusion really comes from the difference between processed (homogenized & pasteurized) milk and the growing consumer awareness and desire to buy and consume RAW milk. The arguments wax heavy and long, but at the end of the day, most farmers/dairymen use very modern and clean methodology to the creation of their Production output. I actually like the raw milk, drink organic milk, but won't turn up my nose at anything that's set before me. I love how informative your posts are! Thanks! !